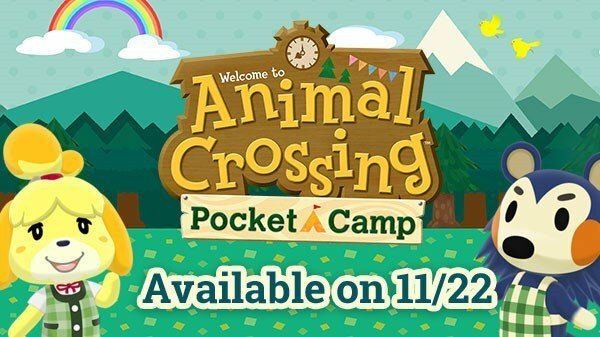 Nintendo has announced Animal Crossing Pocket Camp for iOS and Android will launch this Wednesday, November 22, available worldwide. Nintendo says “Animal Crossing: Pocket Camp is a game about exploring nature, making friends, and collecting cool items to help you create the campsite of your dreams!” It will be free to play but will be powered by in-app purchases. The game will support the following languages at launch: English (US), English (Europe/Australia), French (Canada), French (Europe), Spanish (Latin America), Spanish (Europe), Italian, German, and Japanese.